Although we're all recovering from illness here, we did get through our Bible story from last week, which was Jonah. 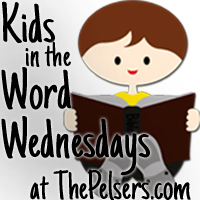 This is an easy-reader story that recounts the narrative of Jonah. It focuses on the themes of obedience as well as God's forgiveness. Jonathan has loved this series of books and this one is no exception. It focuses mostly on Jonah 1-3 and includes the fact that the people of Ninevah repented and turned to God. This is another Arch book which recounts the biblical narrative in rhyming verse. I like that it actually includes all four chapters of Jonah and therefore also includes Jonah's attitude at the end of the book after Ninevah repents as well as God's response. 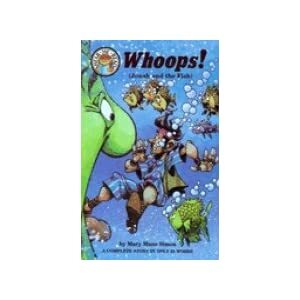 This is another easy reader that tries to tell the story of Jonah and the fish in about twenty-five words. 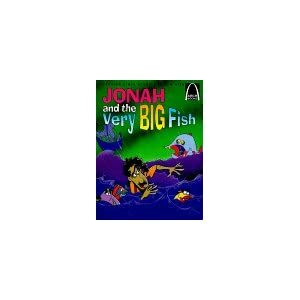 Jonathan really liked the illustrations in this story-- he would pound his fist with Jonah as Jonah declares he will not go to Ninevah. 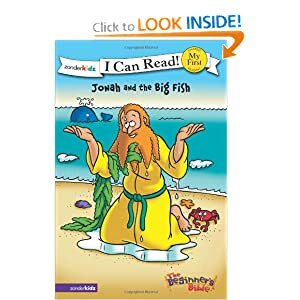 What I don't like is that the book solely focuses on Jonah's obedience and never mentions how Ninevah responds. We talked about obedience a lot with the Jonah story, so we played Simon Says and Red Light Green Light. He loved it! The only drawback was that it was played with so much it ripped. But he had fun! 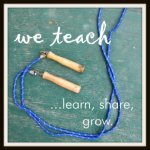 You can see other Jonah art projects on my Pinterest board. We didn't get to do this, but I was planning on watching the Veggie Tales movie of Jonah. (You can stream through Netflix). We've seen it before, and it's a fun retelling of the story. Cute craft! I'll have to remember it for when we study Jonah. We're actually doing Daniel soon. We'll be doing it along with a jungle type theme...should be fun. :) As always thanks for sharing! I love the idea of Jonah being pulled into the whale!